Wade Folger MacDonald was born in Nashville, Tennessee. He holds a Bachelor of Arts degree in Art Education from Western Michigan University. Upon graduation, Wade traveled extensively throughout Europe, conducting art and design research in Germany and the Czech Republic. Prior to attending graduate school, Wade worked as a Ceramics Laboratory Technician and Ceramics Instructor at the Kalamazoo Institute of Arts in Kalamazoo, Michigan. In 2014, Wade obtained a Master’s of Fine Arts Degree in Studio Art with a concentration in Ceramics from Michigan State University. As a graduate student, Wade received the Stanley and Selma Hollander Graduate Fellowship in Studio Art, the Varg-Sullivan Award for Distinguished Research, and the John and Susan Berding Family Foundation Endowment Juried MFA Prize. 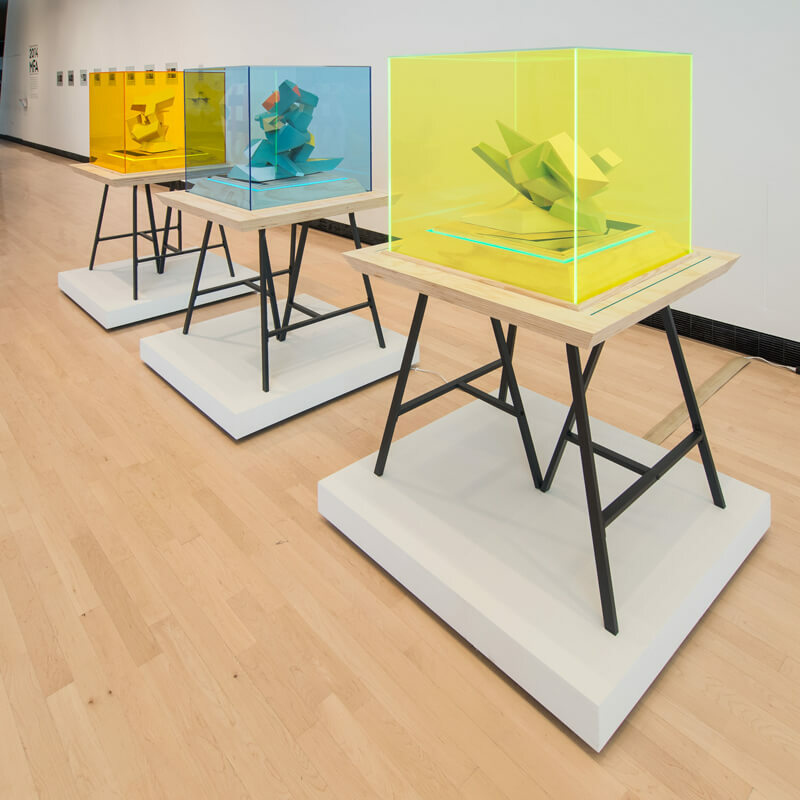 Wade has exhibited nationally and has completed artist residencies at Banff Centre and Anderson Ranch Art Center. He currently teaches Ceramics and Foundations at The University of Alabama in Tuscaloosa. Prominent deconstructivist architects such as, Rem Koolhaas, Coop Himmelblau, Frank Gehry, Daniel Libeskind, Peter Eisenman and Zaha Hadid intentionally use conventions of postmodernism as commentary: stylistic isolationism, disconnection, disharmony and pastiche. Behind seemingly cold metallic exteriors and harshly angled and lighted interiors, profoundly human and societal aspects are explored. Deconstructivist architecture captivates the public through its highly aestheticised trademarks. However, these buildings are often misinterpreted and their impact, underestimated. As a studio artist, I embrace handcraft and digital methodologies as I work toward defining sculpture that is personally and culturally significant. Working within the continuum of ceramic history, I use the intimacy of the vessel format to explore a range of social narratives. I build ‘vessels’ with sections formed by pressing terra cotta clay into plaster molds the way bricks are formed, yet their final structures recall the dynamism of digitally rendered architecture through their complex planar relationships.